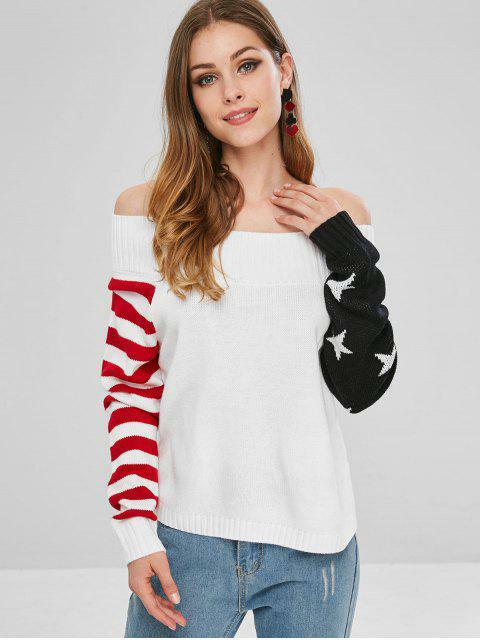 [52% OFF] 2019 ZAFUL Striped American Flag Off Shoulder Sweater In WHITE | ZAFUL ..
Easy to match with skinny jeans and leggings for a stylish look, this American flag sweater features a contrast design with stars graphic on one sleeve and stripes pattern on another. And the slit side adds much of chics while the off-the-shoulder collarline shows lots of allure. 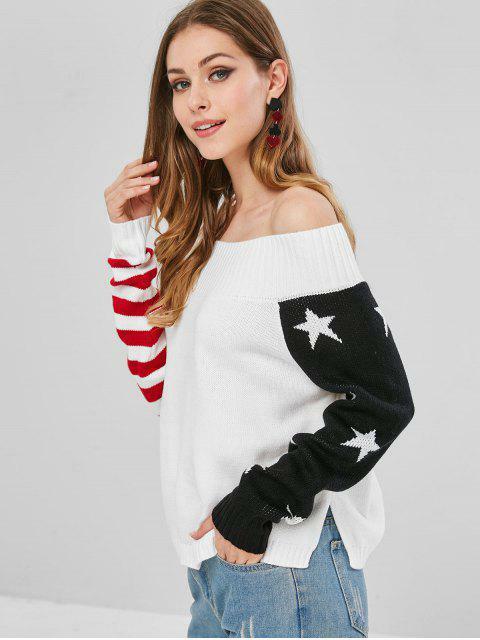 It is a wonderful sweater that owns fashion and warmth in one.